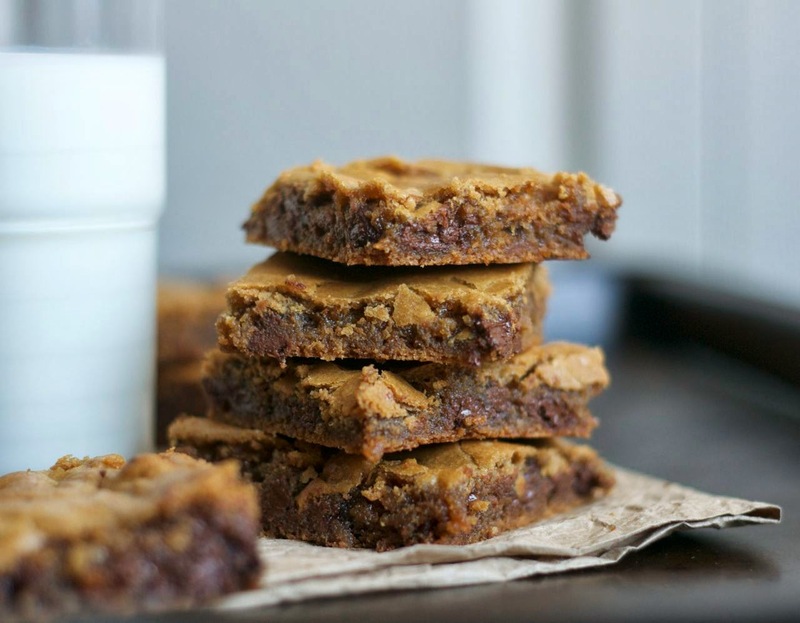 These Butterscotch Chocolate Chip Brownies are an ooey, gooey light brownie made with dark brown sugar and semi-sweet chocolate chips to make a delicious dessert. Even if they aren’t really what most people consider “brownies”. And they do have chocolate in them, so they count. Here’s a throwback to an old post, originally Day 3, yes THREE of my original 365 Days of Baking. The recipe’s so good that I just have to share it again. Below is most of the original text. Oh, and if you’re keeping track, this here post is Day 3. And yet again, I’ve been forgetting to take still pictures of the baking process because I’m so focused on making the recipe and taking the video. I think more pictures of the finished are far more fun to look at anyway. I found this recipe in my Fannie Farmer Cookbook, Thirteenth Edition, p.629; author, Marion Cunningham; publisher, Alfred A. Knopf, Inc., division of Random House; ISBN 0-394-56788-9. Ok, not gonna give the rolling pin recipe away. It’s down there after the recipe as it always is. 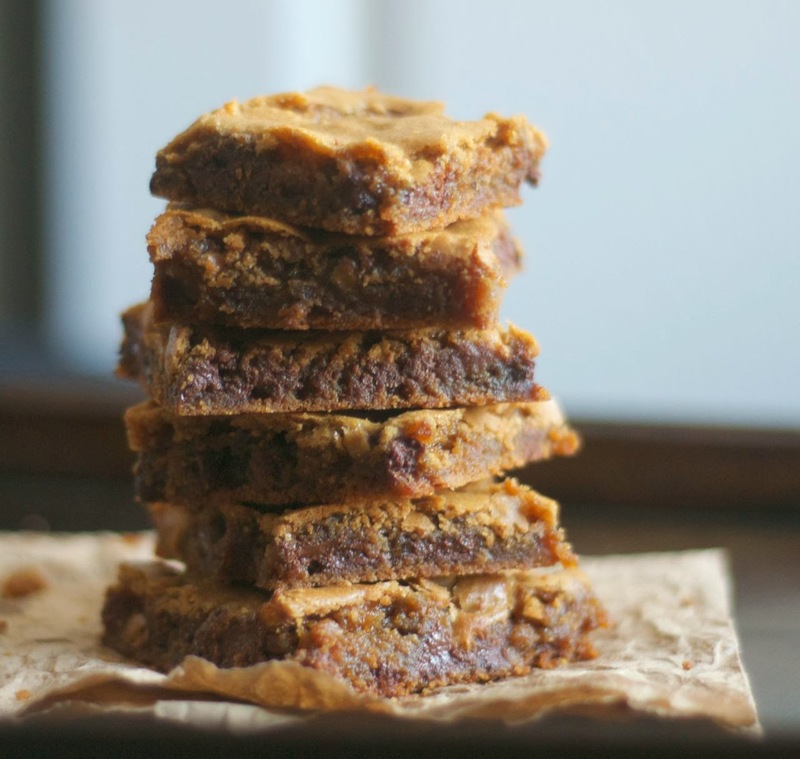 Excited to try out some other brownie recipes? 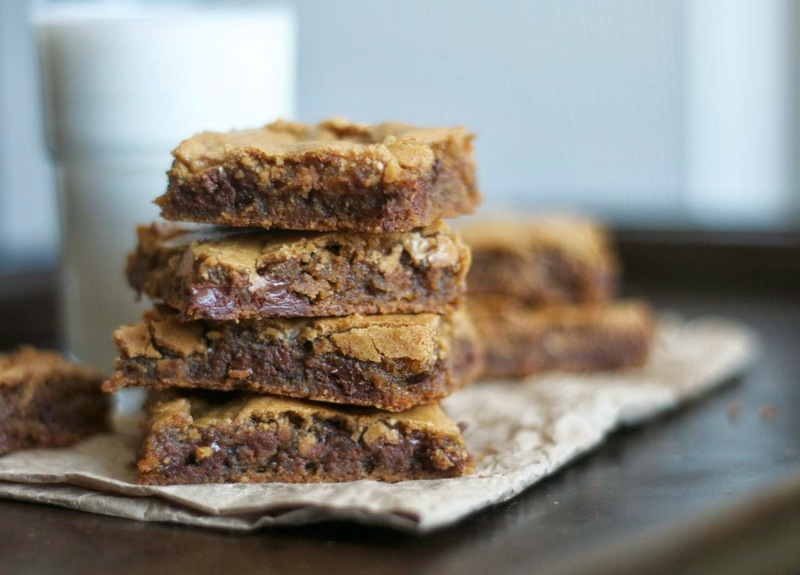 Take a look at these Buckeye Brownies. I just love a combination of chocolate and peanut butter, don’t you? These Mint Chocolate Brownies would be perfect at Christmas or St. Patrick’s Day. Actually, I’d eat them any day of the year, really. I’m super excited to make these Perfectly Fudgy One Bowl Brownies because I’ll only need one bowl. Are you on Team Fudgy or Team Cakey when it comes brownies? I love the fudgy ones! And finally, Cookie Dough Brownies. Why NOT combine the best of both worlds? 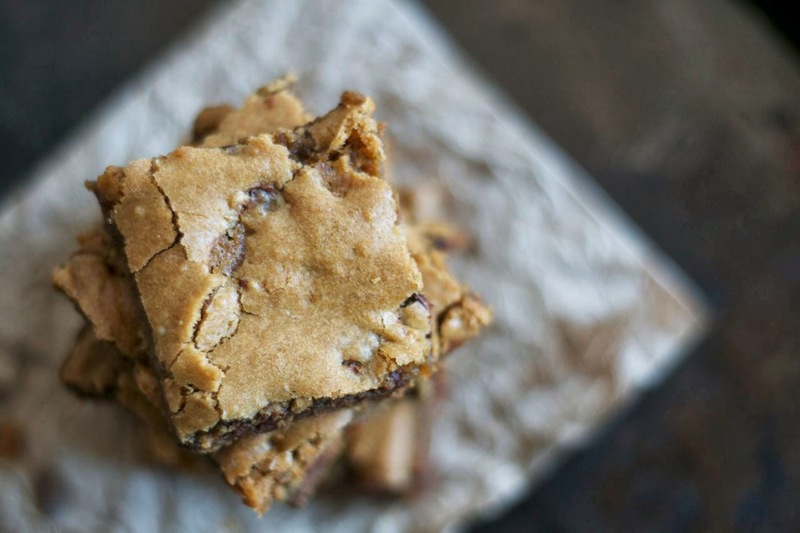 An ooey, gooey light brownie made with dark brown sugar and semi-sweet chocolate chips to make a delicious dessert. Spray with cooking spray or butter a 9 X 13-inch baking dish. Mix all the ingredients together in a large bowl until completely combined. Bake for 25 - 30 minutes or until dry on top and nearly firm to touch. Cool for 10 - 15 minutes before cutting into squares. Want even more brownie recipes? These Chocolate Overload Loaded Brownies were incredibly delicious and filled with some great candy treats. 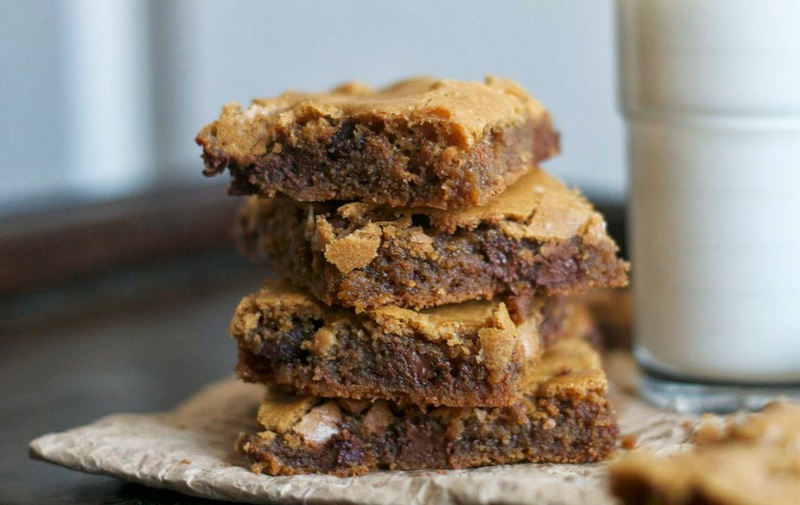 These Hot Chocolate Brownies are that great winter treat in bar form! a whipping 4 rolling pins!! The recipe called for chopped nuts, but I substituted chocolate chips instead. And I’m SO glad I did and so is everyone else in the family! That 9 X 13-inch baking dish is practically G-O-N-E!! And how much easier does it get when you can throw all the ingredients into ONE bowl, mix ’em up, pour it in the pan and pop ’em in the oven?! For sure simple and quick. These will be great to take to a party or to make for an after-school snack for the kids. I bid you all adieu! I WILL see you again tomorrow!!! Are there butterscotch in recipes? Chau, there is no “butterscotch” so to speak, but butterscotch was origianlly made from melted butter and brown sugar, hence the name of the brownies. On Monday, you really pushed this down into the pan but you don’t say that in your recipe. You say to pour it. Should I squish it down? Thanks. Love watching you. No dont really squish it. Just make it so that the batter fits to the edges of the pan and is smooth on the top. I probably pushed it down too much because I was preoccupied with doing the video. Hi. These look absolutely yummy but I’m a vegetarian and do not eat eggs. Is there any vegetarian substitute for those? Hi Dollie, I have not made these without eggs, so I don’t feel comfortable saying this substitute or that will work. 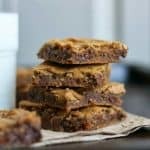 I did find this article though: http://www.sheknows.com/food-and-recipes/articles/955371/baking-without-eggs. Also, I did make this Eggless Blueberry Coriander Bundt Cake a while ago and used coconut oil in place of the eggs. Here’s the link for that if you’d like to take a look: https://www.365daysofbakingandmore.com/eggless-blueberry-coriander-bundt-cake/.